The San Francisco 49ers and the New Orleans Saints are two teams in the NFL that have made some considerable moves in the offseason in order to improve their rosters moving forward. There is no telling whether or not either one of these two football teams will be a playoff bound as of right now, but on Friday night in the Big Easy we will get a taste of the new-look 49ers and the revamped Saints. The 49ers probably made the most drastic moves in comparison to the Saints as they have brought in new head coach Jim Harbaugh and free agent Pro Bowl caliber wide receiver Braylon Edwards. These two moves were high on the priority list for San Francisco as this team is way too talented to miss the playoffs every single season. irection for this struggling storied NFL franchise, but the former Stanford head coach will have his work cut out for him in his first season in the Bay Area. Not only is this team extremely talented on both sides of the football, but they are equipped to win now which puts a lot of pressure on the new head coach that is used to winning football games with quarterback Andrew Luck at Stanford. Sometimes all a football team in the NFL needs a new head coach to bring in fresh blood to a struggling franchise in order to get back on track. The perfect example is head coach Rex Ryan who breathed new life into the New York Jets and now that team is a perennial Super Bowl title contender. 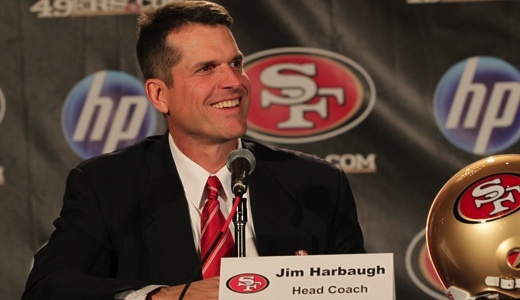 Jim Harbaugh coming into San Francisco and having the same effect on the 49ers is somewhat of a stretch, but possible as he does have the talent at his disposal to make it happen in the near future. The first test for Jim Harbaugh will be tough one as the San Francisco 49ers will go to the Big Easy to take on the New Orleans Saints in their first preseason game of the year. The New Orleans Saints are a team looking for some redemption as they are coming off an extremely disappointing playoff loss to the lowly Seattle Seahawks that was embarrassing to say the least. With the Saints getting dominated by one of the worst teams in the league in the playoffs, Sean Payton and company had to go back to the drawing board and as a result they have traded Reggie Bush to the Miami Dolphins and drafted Heisman trophy winner Mark Ingram. There is no telling whether or not Mark Ingram will be the answer to this team’s struggles in the ground game, but he definitely has the potential to be star behind superstar quarterback Drew Brees in the Saints’ backfield. It will be interesting to see what Jim Harbaugh and Mark Ingram can do in their NFL debut this Saturday night in the Big Easy. « Could Dwight Howard be a good fit with the Dallas Mavericks?